Gerald Anderson and Rayver Cruz Now a Sweet Couple? Bromance Relationship Exposed! They were always seen together in many photos shared in the different social networking sites. They were always together in the different places or events. Some even commented that "baka magkadevelopan kayo nyan dahil laging magkasama" in Facebook and in Instagram. Hmmm...is it really 'something' about these two Kapamilya hunk actors?! Gerald Anderson and Rayver Cruz will finally break their silence in this controversial bromance issue between them in this Sunday's episode of "Gandang Gabi Vice." The host Vice Ganda uncovers the 'real score' between these two gorgeous men. 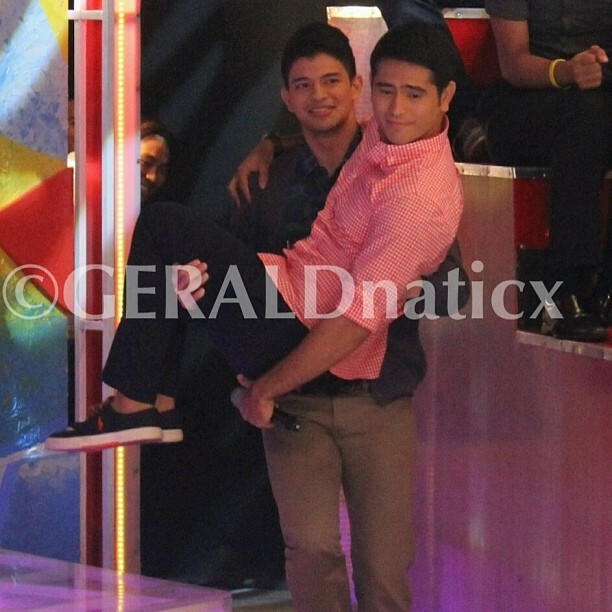 The sweet photo above of Gerald and Rayver is courtesy of Gerald's Fans Club, Geraldnaticx. Thanks much for sharing!